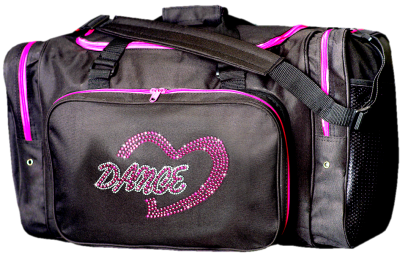 Beautiful BLING describes this very popular bag! 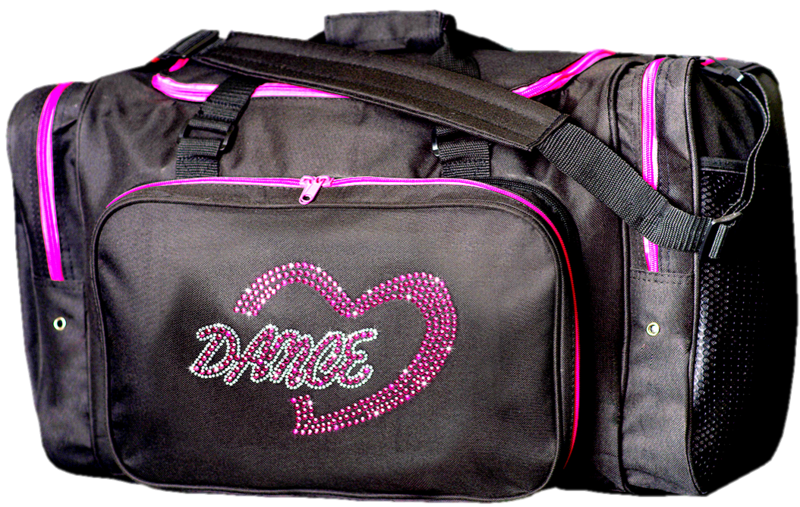 “Dance Heart” prominently displayed in hot pink rhinestuds. Matching hot pink zippers add to the “pop” value! Can be personalized. Microfiber materials wipes clean with a damp cloth.